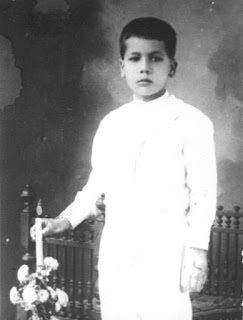 Yesterday I received an early birthday present: Pope Francis has approved the canonization of Blessed José Sánchez del Río, a 14 year-old Mexican martyr. Soon we can call him “Saint José”. Now I’ve written one book in my life, “Blessed José”, and it was about this very same 14 year-old. So how was it that José and I got started… let me think… oh yeah! It was 6th grade, and I was 12. 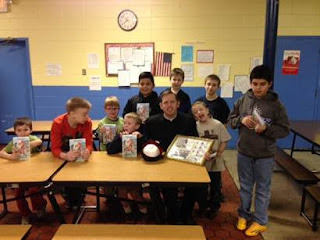 A little seminarian was substitute-teaching our religion class. He told us the story of a 14 year-old boy who had run off to join an army fighting for religious freedom. Captured and offered his freedom in exchange for denying his faith on numerous occasions, the boy refused, and in the end he was brutally tortured and martyred. Hearing that story in all its detail lit off fireworks in the heart of a certain little boy. “If a 14 year old can go and do that, then I can do something for God!” I remember thinking. After school that day, my mom instantly noticed something was different about me and she took me on a date to get the truth out of me. I poured out my story to her over spaghetti and meatballs, and I know she pondered much on what I told her. Months later, inspired in great part by Blessed José, I entered a school for boys who want to be priests, and even more amazing yet, my parents let me! Now I have always loved reading lives of the saints – especially book-length stories where you really get to become friendsgood friends with the saint. But when I looked for a good book about José, there was nothing available in English. In Spanish I could only find short snippets or dry bios. Years later, I felt it my duty to Blessed José to tell his story in a way that would inspire young people like he has always inspired me. So I spent about 7 years researching, then 3 years writing, (mostly during siesta time while studying philosophy and theology in Rome) finally coming up with my homage to this boy martyr. 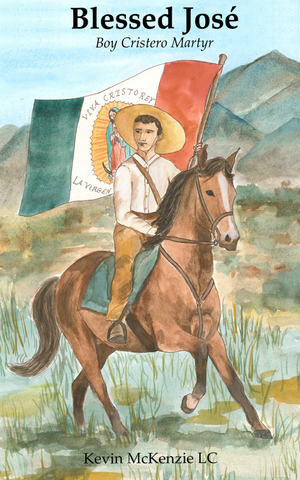 It’s called “Blessed José” and is available in print and ebook here. It was partially in hope of advancing Blessed José’s being named “Saint” that I wrote my book. But he needed a miracle to his name for that. Last year I heard about a possible miracle. In 2008, a 3 month-old baby girl named Ximena, from Sahuyao, José’s hometown, was brought to the hospital and diagnosed with pulmonary tuberculosis. Her condition worsened and the doctors told her parents she was already brain-dead and had hours to live. That night, her parents joined with others to pray to Blessed José to intercede with a miracle. They prayed from 10pm to 4am. The doctor says that precisely at 4am, the little girl’s condition improved dramatically and only got better from then on. When asked later whether she thought Blessed José had intervened, the doctor said, “I don’t know about that. The only thing I know is that someone intervened, and this girl whom we thought would die, didn’t die. The most interesting thing is that with this girl, there are no complications, whereas children that manage to survive this always do very poorly.” Ximena is now a healthy seven year-old. Her miracle was all Pope Francis needed to clear the way for “Saint José Sánchez del Río”. I still love reading the lives of the saints. They show us, in a way that no theory or idea can, that loving God and being totally transformed by His love is really possible. “Perfect Joy” may seem unattainable, until you learn about Saint Phillip Neri. “Charity” is a nice idea, until we see someone like Mother Theresa of Calcutta literally incarnate it. And “Courage”, at least for me, was only theory until I heard the story of Blessed José. May his story, and the stories of all the saints, inspire you to be the saint you can be!